One of the things you need to think about when determining the price of your webinar is the topic at hand. Is it a topic people really want to learn about? Is your presenter someone whom your audience respects and values? If the topic is in high demand and the presenter is well-known in your industry, you will be able to charge much more for your webinar and still experience a large audience. You must also consider your audience itself. If you are targeting larger businesses with your webinar, you will be able to charge far more than if you are targeting consumers who are typically middle class or lower. This is why it is so important to understand your audience so you can properly price your webinar at a level your attendees can afford and will actually be willing to pay. 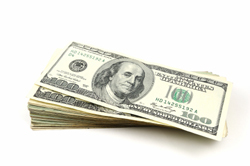 Deciding exactly how much to charge for your webinar can be difficult. However, if you pay careful attention to the value you will provide, as well as your intended audience and their demographics, you will be able to determine if your webinar would do better for free or for a low price, such as $10-20, or if you would be able to charge more than $100 per person. 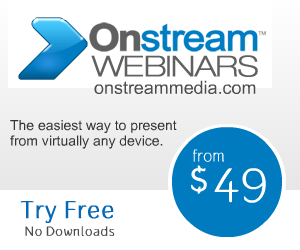 Onstream Media's virtual event platform, Marketplace 365, allows you to easily conduct and monetize webinars, learning summits, or a variety of other web-based events.